Do you owe back taxes to the IRS? Is the North Dakota state government pushing you to pay off your tax debt? A professional tax debt resolution expert can review your financial situation and determine the best possible solutions to deal with your tax debt problems. Speak to a Tax Expert about North Dakota Tax Debt Relief. Contact us now! What Happens When You Don’t Pay Federal & North Dakota State Tax? Tax levy on your assets, which allows the government to sell it and use the proceeds toward paying off your tax debt. Scrutinize your tax bills and past returns to check whether they are accurate. We can also work directly with the relevant authorities to amend the tax bill. Review your financial condition to determine how much you can afford to pay and what tax debt relief options are suitable for you. Explore legal means to settle your tax debt. Act as your guide and representative to negotiate with the government on your behalf. If you have been receiving tax notices from the government or your business tax return is being audited, you should consider hiring a tax debt attorney. He/she has years of experience in dealing with complex state and federal tax laws, and you can leverage their expertise for an effective tax debt settlement. What sort of wages can the IRS levy? The IRS can seize monthly paychecks, dividends and commissions. It can also levy your personal bank account, retirement accounts, federal retirement annuity income, your car, house, and other types of properties. How can I avoid a wage garnishment? 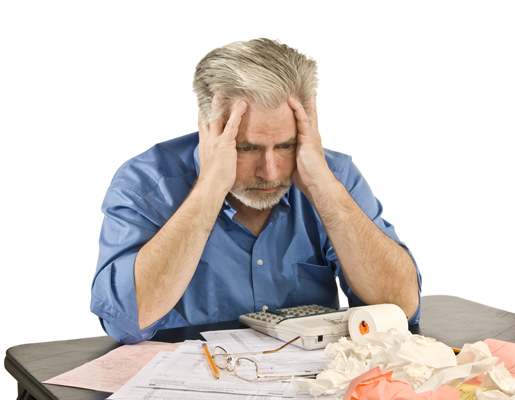 Stay on top of all required tax filings to avoid a tax-related wage garnishment. If you owe back taxes to the state and the IRS, pay them off. If you cannot afford to do so, consider hiring a tax debt professional for help. Based on your financial and tax situation, there are various tax debt relief options available to help settle back taxes. As long as you inform the relevant authorities about your plans to pay off the tax debt, and stick to it, they won’t garnish your wages. Hire The Best Tax Debt Defense Team in North Dakota Today! Are you looking to hire a tax debt resolution expert in North Dakota? Congratulations for taking an important step to overcome your tax debt problem. At Tax Defense Partners, we examine your current financial status and figure out workable solutions to help you deal with tax debt problems effectively. Feel free to schedule a consultation with us or give us a call at 800-600-4300 to get started.